Checkpoint helps to prevent DNA damaged eggs being fertilised. Researchers from the University of Southampton have established that eggs have a protective ‘checkpoint’ that helps to prevent DNA damaged eggs being fertilised. Damage to an egg’s DNA can result in infertility, birth defects and miscarriages. This damage can occur as a result of the natural ageing process and also as a result of women taking certain types of medication following chemotherapy, or radiotherapy. The researchers found that damage to DNA during meiosis, the process that results in the formation of sperm cells and egg cells, activates the spindle assembly checkpoint (SAC) in the maturing egg, known as an oocyte, which prevents it from fully developing and stops it from being fertilised. While the SAC is known to exist in most cells in our body, where it helps to make sure chromosomes are shared equally when a cell divides into two, uniquely in oocytes this checkpoint appears to respond to DNA damage in the chromosomes. 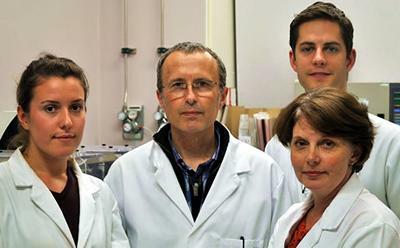 Lead author of the study Professor Keith Jones, Head of Biological Sciences at the University of Southampton, said: “The discovery of such a checkpoint is an important breakthrough that allows further investigation into what could affect the strength of the checkpoint. The study is published in Nature Communications and was funded by the Biotechnology and Biological Sciences Research Council (BBSRC).